The post LDJ Capital’s David Drake: ‘Bitcoin Will be Worth $30K at the Year End’ appeared first on Bitcoinist.com. The goal of the Ripple project is to create nothing less than an “Internet of Value” – a system that allows almost any asset to be transferred over the Internet as easily and quickly as a text message, photo, or video. That’s why Ripple (XRP) made the biggest gains of any cryptocurrency last year – bigger even than market leaders Bitcoin and Ethereum. The Ripple price soared 35,000% in 2017, from a miniscule $0.006386 to $2.25. Two major remittance companies – MoneyGram International Inc. (Nasdaq: MGI) and The Western Union Co. (NYSE: WU) – announced this year they had started testing Ripple for its potential to streamline their money transfer businesses. The good news for investors is that the Ripple price, fueled in part by last year’s monster cryptocurrency rally, went way too high way too fast. The XRP price has corrected 83% from its all-time high in January of $3.77. Today, the price of Ripple is a more reasonable $0.65. That’s a good thing for investors, since buying Ripple now will yield bigger gains as it hits targets beyond January’s high. Finder.com‘s current consensus Ripple price prediction for the end of 2018 is $6.13 – an 840% gain from today’s XRP price. If You’re Not Making Millions of Dollars with Cryptocurrencies… you could be. Click here to discover the tiny coin that will soon be BIGGER THAN BITCOIN… and how to claim YOUR cryptocurrency fortune while you still can. Other Ripple price predictions see the cryptocurrency soaring to $10 or beyond over the next few years. But are such high expectations really justified? Ripple is the No. 3 cryptocurrency by market cap behind Bitcoin and Ethereum. Its roots go back to 2004, predating even the birth of Bitcoin in 2009. And yet, Ripple is a unique and somewhat controversial cryptocurrency. The first point of confusion is that there is both a Ripple company (Ripple Labs) and a Ripple cryptocurrency (XRP) that trade on the exchanges. The two are related – Ripple Labs did create XRP, launching it in its current form in 2012. But in 2015, the XRP protocol was made open source, meaning anyone can contribute to it. It functions mostly independently of the company now. But the link between the two creates confusion for investors when Ripple Labs announces new customers or its global payments network product, xCurrent. Despite the name, xCurrent doesn’t use XRP. Muddying things further is that two other Ripple Labs products, xRapid and xVia, do use the XRP cryptocurrency. When assessing XRP’s value, investors need to keep these relationships straight. 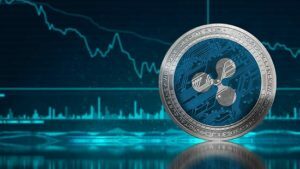 Ripple Labs has more than 100 banks using xCurrent, including several of the world’s largest, such as Credit Agricole SA (OTCMKTS: CRARY), Bank of America Corp. (NYSE: BAC), and Banco Santander (NYSE ADR: SAN). But Ripple has just a handful of customers using xRapid and xVia (although MoneyGram and Western Union are among the companies using xRapid). The willingness of Ripple Labs to partner with traditional banks doesn’t sit well with crypto advocates who believe the purpose of cryptocurrency is to cut out traditional banks and eventually leave them on the ash heap of history. The Ripple Labs connection also has led to accusations that XRP is not decentralized in the way that, say, Bitcoin is decentralized. That’s because Ripple Labs still controls the majority of the “validator” nodes that confirm the transactions on the network (the role of Bitcoin’s miners). However, Ripple Labs has successfully encouraged third-party validators to join the network, with a plan to reduce the number of Ripple-controlled validators as new third parties join. Ripple’s xCurrent is designed to be much faster and cheaper than existing options for global cross-border payments, such as the SWIFT system (Society for Worldwide Interbank Financial Telecommunications). Transactions on xCurrent can execute in seconds (compared to days for SWIFT) and cost about 60% less. And while xCurrent doesn’t require the use of XRP, doing so makes the network more efficient, saving more money for the banks and companies that use it. That’s because XRP can provide liquidity to the system – something of particular importance in foreign exchange conversions between infrequently traded pairs. Banks that conduct a lot of international transactions hold foreign currencies in so-called “nostro” accounts. These are accounts a bank maintains with another bank in a different country, but stocked with that country’s native currency. Nostro accounts make foreign exchange transactions easier by ensuring currencies are on hand when needed. But nostro accounts tie up a lot of capital while waiting to be used, which costs the banks money. Such accounts make up 80% of the costs of international payments. This is the problem XRP seeks to solve. One large XRP account can take the place of many nostro accounts, because XRP is instantly convertible, through the Ripple network, to any fiat currency – or, for that matter, to just about any asset you can think of. There’s $27 trillion stored in nostro accounts today. XRP need only grab a small portion of that for its price to skyrocket. Ripple Labs still need to convince the banks that using XRP is in their best interest, but that’s the beauty of xCurrent – it’s the foot in the door that will enable widespread XRP adoption. What caused Bitcoin’s price to fall today? The post Bitcoin Price Falls As Markets React To (False) Japan Binance Threat [UPDATED] appeared first on Bitcoinist.com. https://dailybitcoinreport.com/wp-content/uploads/2018/03/images-1.jpg 189 267 Bitcoinist https://dailybitcoinreport.com/wp-content/uploads/2017/09/bitcoin-300x59.png Bitcoinist2018-03-22 11:43:332018-03-22 19:56:34What caused Bitcoin's price to fall today? Bitcoin’s price stops falling but is the ‘Death Cross’ still a risk? https://dailybitcoinreport.com/wp-content/uploads/2018/03/graph-3078546_960_720.png 454 960 admin https://dailybitcoinreport.com/wp-content/uploads/2017/09/bitcoin-300x59.png admin2018-03-21 15:08:362018-03-21 15:08:59Bitcoin's price stops falling but is the 'Death Cross' still a risk? The post Over 16 Million Americans Now Own Cryptocurrency, Survey Finds appeared first on Bitcoinist.com. Bitcoin is behaving a lot like the Nasdaq did in the dot-com bubble but 15 times faster, Morgan Stanley says. Similarities in price moves and trading volume could be signs that history is repeating itself, according to a note published by Morgan Stanley on Monday. Morgan Stanley also points out changes in bitcoin trading volume into a cryptocurrency called tether. Bitcoin is behaving a lot like how the Nasdaq did during the dot-com bubble nearly 20 years ago, but the timeline is unfolding much faster, according to research published by Morgan Stanley on Monday. The Nasdaq in 2000 and modern-day bitcoin both rallied 250 to 280 percent in their most “exuberant” periods ahead of bear markets, Morgan Stanley said in a note to clients. The tea leaves don’t bode well for Bitcoin. Traders who look for future price direction in chart patterns are finding more indicators suggesting the world’s largest digital currency may have further to fall. Cryptocurrency is a market for the iron-stomached, if the asset’s most recent slide is anything to go by. With news of Google banning cryptocurrency-related ads and the International Monetary Fund advising increased regulation on the asset, the price of Bitcoin, Ethereum, and Ripple continued their slide Thursday, wiping out about $499.2 billion of the market value of over 1,500 cryptocurrencies since their collective all-time high in early January. For comparison, that loss is roughly equal to the value of Berkshire Hathaway, the $510 billion firm built by investing titan and Bitcoin skeptic, Warren Buffett. Those losses for cryptocurrencies are notably not since Bitcoin’s peak in December, when it reached $20,000 on some exchanges. Rather, that’s nearly $500 billion lost based on when those 1,565 cryptocurrencies tracked by CoinMarketCap collectively reached their all-time high in valuation. For the most part however, the smaller, so-called alt-currencies have largely followed the up-and-downs of Bitcoin—a trend that the most recent sell-off has maintained. https://dailybitcoinreport.com/wp-content/uploads/2018/03/bitcoin-3134829_960_720.jpg 640 960 admin https://dailybitcoinreport.com/wp-content/uploads/2017/09/bitcoin-300x59.png admin2018-03-15 19:49:122018-03-15 19:51:25How Low Will Bitcoin Go? Why did Bitcoin just fall 9%, to a 1-month low? Just days ago, these pages published “anecdotal reports of several companies operating in the initial coin offering (ICO) industry, Google is taking steps to restrict the visibility of ICO advertising on its platforms.” As of March 13th, however, Google published Financial Services: New restricted financial products policy (June 2018), announcing it “will update the Financial services policy to restrict the advertisement of” cryptocurrencies and related content. The policy will be implemented by June of this year. By restrict, it appears some of those ads banned might be able to ultimately advertise with Google by getting certified. The economy for online advertisers is a competitive one, and Facebook/Google carve up the lion’s share of that market. Advertisers have long understood negative experiences with shady ads, malware driven links, and so forth sour user experience and thereby chip away at legitimate ads. The search giant simultaneously released metrics for cleaning up its “bad ads” problem. Last year, they zapped more than three billion ads, almost twice that of 2016. “We blocked 79 million ads in our network for attempting to send people to malware-laden sites, and removed 400,000 of these unsafe sites last year. And, we removed 66 million ‘trick-to-click’ ads as well as 48 million ads that were attempting to get users to install unwanted software,” the company stressed. In 2017, the company closed-in on 100 billion USD in ad-related business, 20 percent more than the year prior. The danger for many crypto enthusiasts is with the influence Google has on the broader ecosystem. Many worry such a wide net cast might inadvertently scoop up crypto businesses and operations acting legitimately. What do you think about Google’s ban? Let us know in the comments! The post Following Facebook – Google Bans Crypto Ads: No Currencies, ICOs, Exchanges, Wallets, Advice appeared first on Bitcoin News. https://dailybitcoinreport.com/wp-content/uploads/2018/03/Untitled-design-15-768x768.jpg 768 768 Bitcoinist https://dailybitcoinreport.com/wp-content/uploads/2017/09/bitcoin-300x59.png Bitcoinist2018-03-14 09:58:382018-03-14 19:56:58Why did Bitcoin just fall 9%, to a 1-month low? Bitcoin is not a Ponzi scheme. If one is to truly allege that the digital asset is little more than a massive ploy to defraud unwitting investors of their money, à la Bernie Madoff, then one must admit that the entire stock market itself is one giant hustle, too. And people don’t make that connection. Because it’s not true. Bitcoin is, in fact, a legitimate and potentially life-changing part of a speculative portfolio. Money Morning Cryptocurrency Expert – our guide on all things Bitcoin and blockchain – David G. Zeiler wrote in depth about this common misbelief in 2015. In the years since, he’s seen various Bitcoin-related scams play out. But he fervidly points out to this day that the digital asset itself is not a Ponzi scheme. For starters, David says that when Madoff launched his Ponzi scheme in the 1990s from his existing investment firm, he promised – and delivered – high returns for years by using newer clients’ money. He covered his tracks with false trading reports. Bitcoin has none of the attributes of such a scam. For one thing, “Bitcoin itself can’t be a Ponzi scheme because it isn’t controlled by a central person or group,” David says. Indeed, a central operator skimming money from clueless investors is a key requirement for something to be a Ponzi scheme – and Bitcoin clearly does not have one. Another key requirement for a Ponzi scheme is a lack of transparency – essential to keep those being fleeced in the dark. “That’s not to say you can’t have Ponzi schemes that involve Bitcoin or cryptocurrencies instead of dollars,” he says. Crypto pyramid ploys do exist, but they are separate from the cryptocurrency networks and operate pretty much the same way as any Ponzi scheme. Indeed, ICOs are a way for startups to crowdfund a crypto investment. Instead of raising cash from venture capitalists like businesses do with initial public offerings (IPOs) on the stock market, a company can hold an ICO. An ICO allows investors to invest in a cryptocurrency, such as Ethereum or Bitcoin, in exchange for a new token that’s being issued by the startup. But this new cryptocurrency is not equity. Instead, it can be used in exchange for future services offered by the company. And in some cases, the new digital coin may climb to a much higher value than its initial investment. ICOs, however, are largely unregulated – which makes them ripe for Ponzi scams. The ICO was for a supposed startup called Giza, which claimed to be developing “a super-secure device that would allow people to store cryptocurrencies,” CNBC reported today (March 12). Giza carried out its ICO in January and immediately started garnering major investments. One person who put money into the project told CNBC today that they invested $10,000 worth of Ethereum, and another said they had put in around $5,000 worth. At the beginning of February, Giza held more than 2,100 ethereum coins, which at the time were worth a total of $2.4 million, CNBC stated. Now, all but $16 worth Ethereum of that $2.4 million cache are missing. “In these cases, the operators just take the money and run without bothering to set up a Ponzi scheme,” David says. Now he’s using that technology to help pinpoint recommendations in a market that grew 164 times faster than stocks: cryptocurrencies. Click here to learn more about Tom’s system – and see the No. 1 cryptocurrency he’s buying right now on camera! 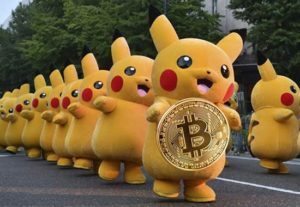 https://dailybitcoinreport.com/wp-content/uploads/2018/03/pikachu-bitcoin-300x207.jpg 207 300 Money Morning https://dailybitcoinreport.com/wp-content/uploads/2017/09/bitcoin-300x59.png Money Morning2018-03-12 20:58:512018-03-13 15:58:48Is Bitcoin a Ponzi Scheme?